3D Touch: currently an iPhone exclusive. 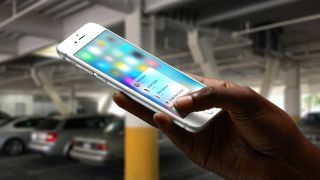 If you're an Android user enviously watching your iPhone 6S-owning friends have fun with 3D Touch, take heart: similar technology is on its way to devices of all makes and models in the near future. The display engineering wizards at Synaptics have announced a new touchscreen controller called the ClearPad 3700 - it comes with a "variable force sensing" capability that the firm is calling ClearForce. Also in the mix is something called SideTouch, enabling you to use the bezels of a phone for scrolling and selecting (handy if you don't want to obscure what's already on the screen). Mass production is slated for the end of this year so you might well see ClearForce in the flagships of 2016 - Synaptics already works with the likes of Samsung, Xiaomi and Lenovo, and it's going to be interesting to see which manufacturers take this tech on board. "ClearForce enables OEMs to differentiate smartphones by providing customers with new dimensions in user interfaces such as speed scrolling, zoom, gaming, and text or photo editing by applying variable force with a finger or stylus," says Synaptics. On the newest iPhones, 3D Touch is used almost like a right-click on a desktop computer: it unlocks extra shortcuts and different navigation options. Similar pressure-sensitive tech is on show in the Apple Watch and this year's new MacBook.